Health care has become hugely expensive. These days, even a minor operation can have you digging into your long-term savings. The high cost of hospital stays, specialist fees and other medical expenses makes it important to have at least some form of medical cover. 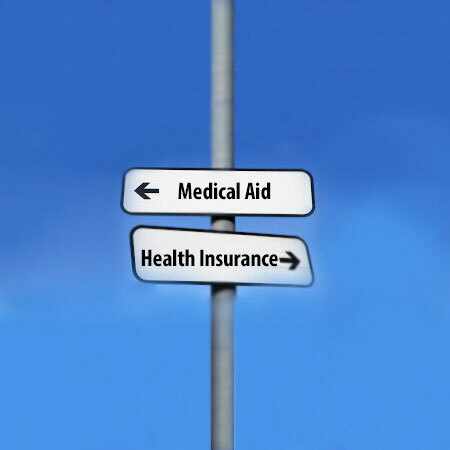 But should you consider medical aid or health insurance? These terms are often used interchangeably but in fact there are significant differences between them. Here we aim to provide all the information you’ll need to make the right choice for you and your family. The focus of a medical aid scheme is to provide members with cover for expenses associated with necessary medical treatment. Often members are obliged to use healthcare specialists who belong to a provider’s network and conditions govern which treatments are covered – but taking scheme tariffs into account, the amount you’re paid out will depend on what medical attention you need. Health insurance, however, is designed to ensure that when you need funds for medical purposes, you receive a fixed, lump sum. This amount won’t differ, regardless of the type of treatment that’s required or which healthcare providers you use. Some Health insurance products are relatively new. They were introduced largely as a result of premiums for traditional medical aid plans rising above the levels that the majority of South Africans can afford. To take advantage of a gap in the market, insurance underwriters developed health insurance products, which have lower premiums but provide less comprehensive cover. In South Africa, all medical aid schemes are regulated by the Medical Schemes Act and governed by the Council for Medical Schemes. Health insurance, on the other hand, is regulated by the long-term insurance act and governed by the Financial Services Board. By law, medical aid providers are required to provide Prescribed Minimum Benefits (PMBs) for a list of chronic disorders, such as asthma, cardiac conditions, diabetes, hypertension-etc. Health insurance providers aren’t subject to the same legislation and don’t have to consider these requirements. If you’re a member of a medical aid scheme and you’re hospitalised, the cost of the treatment will typically be paid directly to the hospital. With health insurance, you have to settle the hospital bill yourself, using the lump sum you’re paid out – which may or may not cover all your medical costs. One problem is that often those who sign up for health insurance don’t expect treatments to cost as much as they do. Although a medical aid plan provides more comprehensive cover, it doesn’t generally include personal accident disability or cover for loss of limbs. Health insurance does. It may also include death and funeral cover, which medical aid schemes do not offer. Medical aid contributions are deductible for tax purposes whereas health insurance premiums are not. Currently you can deduct up to R514 monthly for the first two persons covered under a medical aid plan, and R172 for each additional person. Contact us for more information about which type of medical cover will best suit your needs, or use our online Medical Aid Comparison Tool for all the information you need to compare South African medical aid plans, including the premiums they charge and the benefits they provide.